The current deadline for linking the 10-digit alphanumeric PAN (Permanent Account Number), issued by the Income Tax Department, with Aadhaar is December 31. 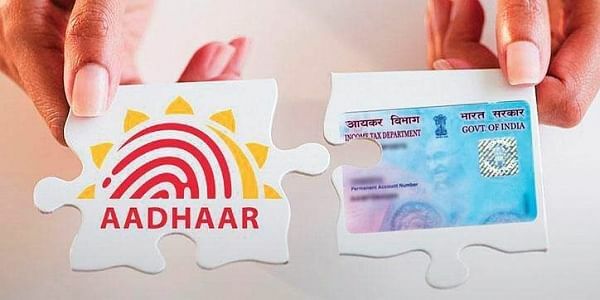 NEW DELHI: The government will give 3-6 months to link the biometric identifier Aadhaar with PAN in case the apex court rules in its favour, after which it may cancel all PANs that have not been linked, a senior official has said. The cancellation will weed out all duplicate PANs and make benami transactions void, the official said. The government has indicated to the Supreme Court that it is willing to extend this deadline to March 31, 2018. The official said that in the event of the apex court upholding the government position of making linking of PAN with Aadhaar mandatory and agreeing with the proposed deadline, a 3-6 month grace period would be given to allow all taxpayers to do the linking. As of November, 13.28 crore out of 33 crore PANs have been linked to the 12-digit Aadhaar, he said. "The linking exercise is aimed at eliminating duplicate PAN cards which are being used by unscrupulous elements to avoid paying due taxes," the official said. Not linking PAN with Aadhaar even after the grace period will render the PAN invalid, he said. "We can give 3 to 6-month window after December 31 for the linking," he said. Last month, the government had told the court, which is hearing petitions against making Aadhaar linking to bank accounts, mobile phone numbers and others mandatory, that it is willing to extend the deadline to March 31, 2018. This year, the government made the quoting of Aadhaar mandatory for filing income tax returns (ITRs) as well as obtaining a new PAN. "The duplicate PAN cards are the ones which are creating a major danger to the economy. They are the ones who are using this duplicate PAN for opening bank accounts and then they are transacting and they are not filing returns. So we need to worry about them," the official said. Section 139 AA (2) of the Income Tax Act says that every person having PAN as on July 1, 2017 and eligible to obtain Aadhaar, must intimate his Aadhaar number to the tax authorities. The government had in August extended by four months the deadline for linking PAN with Aadhaar till December 31, pending the Supreme Court verdict. As the case is pending in the Supreme Court, the government is not enforcing the provision, the official said. "There will be a time when, once Supreme Court clears it, we would like to give a date by which all have to link with Aadhaar and remaining will be cancelled. "We will give a 3-6 month window... But after that the PAN, if it is not linked, will be cancelled. Our purpose is, all duplicate PANs should be eliminated which are not linked to Aadhaar card. So, all the Benami transactions will go," the official said.